Catherine has a background in planning policy and housing market research, with a particular focus on affordable housing. 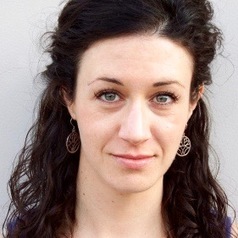 From 2009-11, Catherine worked for Three Dragons Consultancy in the UK, where her work examined the economic viability implications of different housing policy positions for organisations including the Welsh Assembly Government, the National Housing and Planning Advice Unit and the Zero Carbon Hub. She has worked with local and regional planning authorities across the UK on studies to support the development of inclusionary housing policies. Since joining the University of Sydney in 2011, she has provided research assistance on numerous projects, including an Australian Research Council (ARC) Discovery Project and four Australian Housing and Urban Research Institute (AHURI) funded projects. This research work has focused on comparing systems of land use regulation; examining evidence of relationships between planning policy settings and housing development outcomes; and, approaches to planning system performance monitoring. Her PhD research, which commenced in 2015, compares recent planning system reforms in Australia, Canada and the UK, investigating how implemented changes have impacted development rights, assessment processes and rates and patterns of new housing production.